1.Suitable for different kinds of the skins, also sensitive skin. The Diamond Dermabrasion provided a non-surgical skin refinish procedure, by using sterile diamond heads to abrade or rub off the top skin layer, then Vacuuming out the particles along with any dirt and dead skin back up. This procedure removes skin debris, imperfections, blemishes, wrinkles and unwanted pigmentation on the skin. 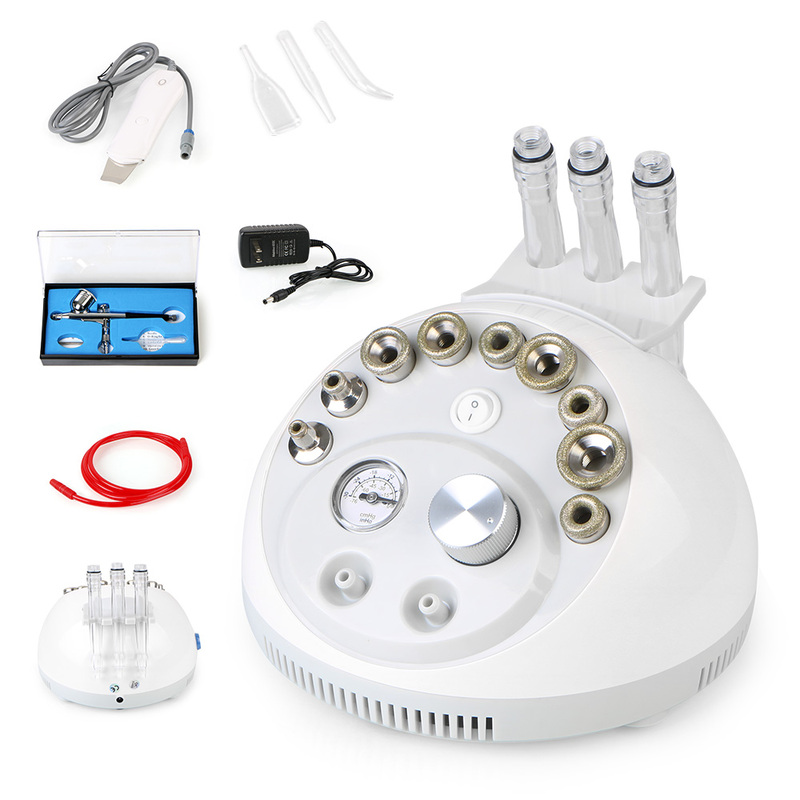 Moderate usage of diamond dermabrasion, accompany with skin products that penetrate through top skin layer that reach the dermis level, helps to replenish natural nutrients, restore cell activity, and promote skin health. The results after Micro Dermabrasion treatment is usually a healthy, glowing, beautiful skin.